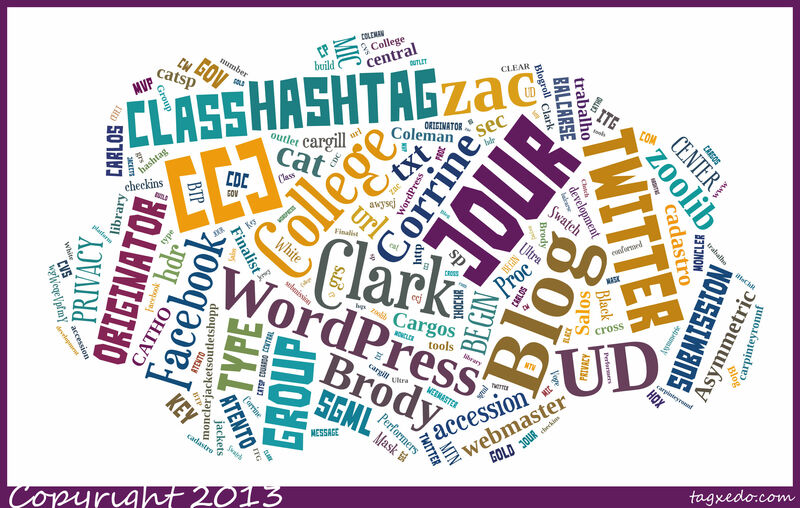 Here’s an image I generated from all of our #ccj111 hashtag tweets, using the site http://www.tagxedo.com. You can generate word clouds all sorts of ways and even output them in different shapes. Check it out and play with it. Another well-known word cloud generator is Wordle (http://www.wordle.net). This entry was posted in Infographics and tagged infographics, tagxedo, wordle. Bookmark the permalink.